Coslys Organic Shower Gel with Fig cleanses sensitive skins gently with its soap-free formula. No more irritations nor itching thanks to anti-inflammatory and protective organic Fig extract and Meadowsweet floral water. Ideal for daily use, Coslys Organic Shower Gel leaves your skin smooth and soft with a nice 100% natural fruity fragrance that your family will love ! 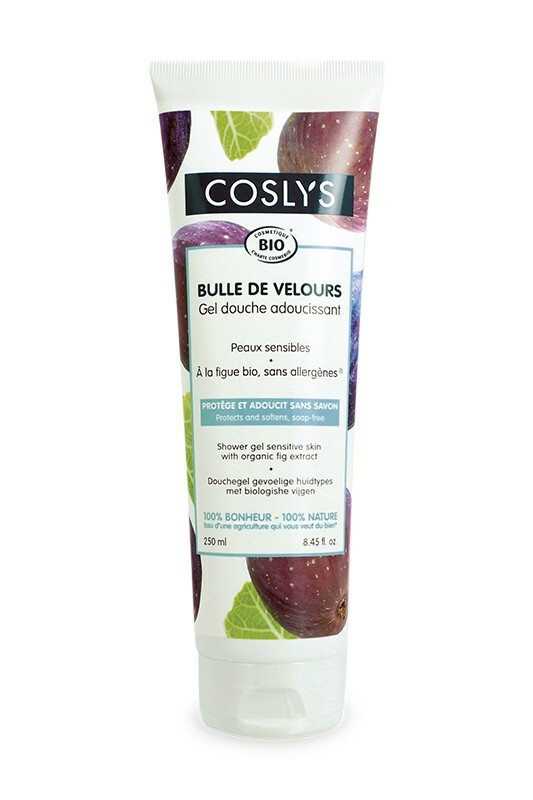 Apply COSLYS Organic Fig Shower Gel on damp skin, lather then rinse. In case of contact with the eyes, rinse abundantly. 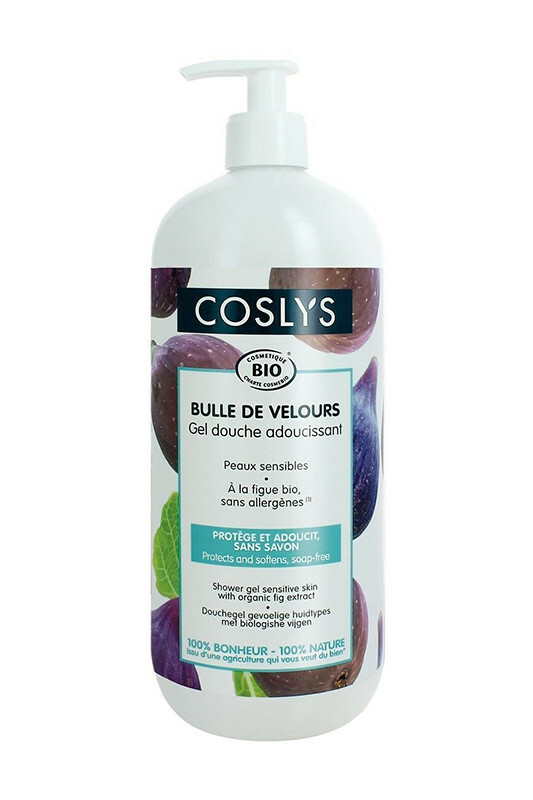 Coslys uses a ALS-free formula with 99% natural ingredients ! Aqua (water), spiraea ulmaria flower water* (organic meadowsweet floral water), sodium coco-sulfate (anionic surfactant from coconut, palm-kernel and glycine), decyl glucoside (anionic surfactant from glucose), inulin (chicory root extract), sodium chloride (salt), cocamidopropyl betaine (amphoteric surfactant from coconut), polyglyceryl-2 laurate (lipid-enriching agent from palm-kernel and coconut), ficus carica fruit extract* (organic fig extract), glycerin (natural glycerin), parfum (100% natural fragrance), sodium benzoate (preservative agent), potassium sorbate (preservative agent), citric acid (pH regulator), coconut alcohol, sodium sulfate (anionic surfactant from coconut).